Accounting is by far one of the most important aspects of starting and operating a successful business. So, business owners beware. While it’s easy to get caught up in the glamorous task of designing your website or choosing the perfect business name, without a solid understanding of the numbers, you will not survive. The streets of entrepreneurship are littered with former business owners who ignored the financials of their business only to discover too late that they were operating at a loss, not a profit. Unless you're a bonified numbers wiz or have a degree in accounting, you need to engage the services of a professional to set up your accounting system. To get a grasp on your small business accounting and financials, the first thing you have to ask yourself is whether or not you should hire a bookkeeper or an accountant. Each startup situation is unique but generally, most startups can begin with a bookkeeper. A bookkeeper's services make sense for uncomplicated start-ups which don't plan on building an empire. A bookkeeper can get you going with a good record keeping system, handle your financial transactions, and produce your financial statements. Hiring an accountant makes sense if you plan to grow your business or if you have a complex business structure such as a limited liability company. Also, you should look into hiring an accountant if you start adding additional employees to your payroll. Many entrepreneurs initially start a part-time business or work at home to keep expenses low. If this is the case with you, the cost of an accountant on a monthly basis can be too costly for a one-person shop. Either prepare the books yourself or have a bookkeeper get involved on an as-need basis. Then, you can use an accountant for your year-end tax planning. There are only two generally accepted accounting methods: cash accounting and accrual accounting. 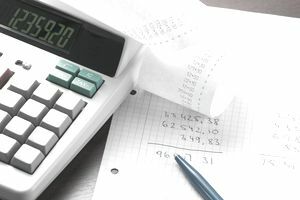 Some small businesses have the option of choosing between these two, while other small businesses are legally required to use the accrual method. Check with a financial professional (preferably an accountant) to see if you're required to use the accrual method. The accrual method shows your real-time financial health and most accounting software packages simplify the process of accrual accounting. Moving from the cash system to accrual can be as easy as checking a box in your accounting software, and the system takes care of the rest. However, if you run a simple and low-revenue business, don't feel pressured to adopt the accrual system.